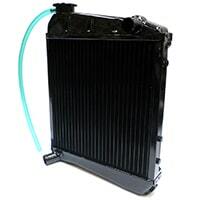 Some Minis are prone to “spitting” a small amount of water upon shut-down. 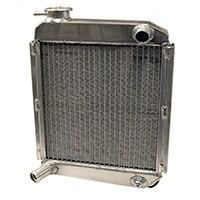 Any water loss can result in overheating! An overflow tank will help solve this tendencey, and the pressurized expansion tank will almost always cure it. Excellent for all cars. 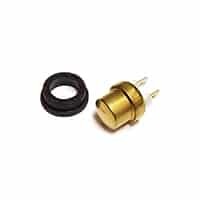 Plastic clip to retain radiator fan switch in SPi Minis only. Should be replaced whenever switch is removed, or risk the switch becoming dislodged. 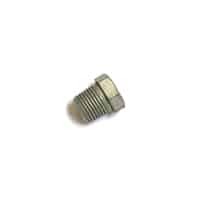 Original drain plug, for radiators originally equipped with drain. Not for replacement radiators. 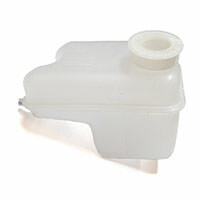 Original expansion tank found on MPi Minis only; allows water to run to and from the radiator as it expands and contracts. 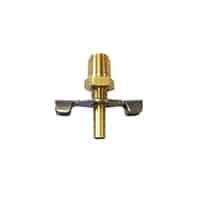 Drain tap to fit very early radiators that have a plug in the bottom tank. 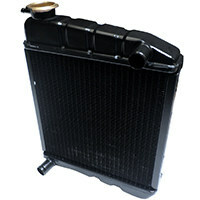 Can be professionally installed by a radiator shop into a newer radiator. Fan control switch for SPI Mini radiators. 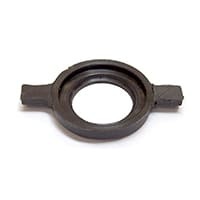 This is the push-in type that fits original factory radiator. 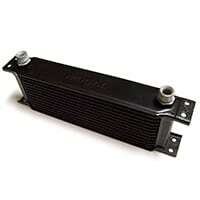 Not for C-ARA4443 super 2-core radiator. Special screw-in fan control switch at the bottom of C-ARA4443 super 2-core radiator for 1992-on SPI Mini. 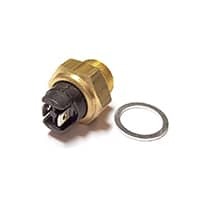 For original push-in fan switch see GVS104. 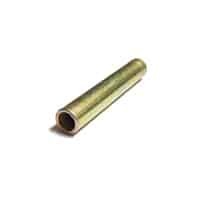 Lower spacer tube for the one-piece radiator cowling as fitted from 1974-on. 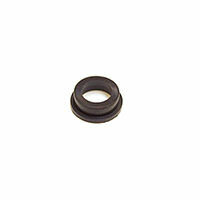 Poly grommets/bushings CAM4618P sit on this tube to silence radiator rattle. 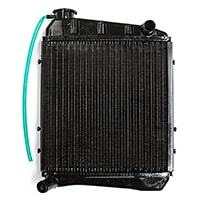 Highly efficient 2-core aluminum radiator to fit Minis from Mk3-1996, including all 1990-on cars, which had the engine moved 1/2" forward. 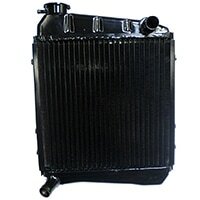 All-copper 3-core radiator featuring an unique array of offset rows; suitable for use with standard road engines in Minis manufactured up to 1990. 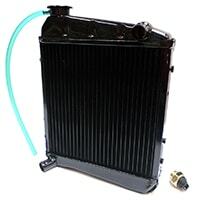 Super cool lightweight aluminum alloy radiator is side mounted for all pre-1990 cars, with the overflow pipe facing rearwards. 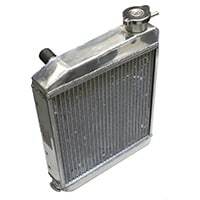 This is one of the best cooling copper radiators available for the classic Mini, due to its very dense fin matrix and highly-efficient 3-core design. Recommended for race or hot-climate street Minis. The fuel-injected MPi Mini was the only model with a front-mounted radiator. 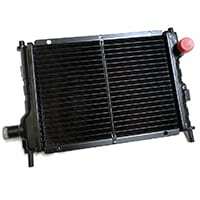 This replacement radiator fits MPi or Twin Point Minis, 1997-2000.